A CENTRE for excellence will be opened next year at the National Soccer Academy in Lae to develop and promote soccer in the country. 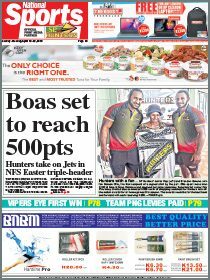 This was announced by the director of PNG Football Association education centre Edris Kumbruwah following the Besta Cup grand final in Lae last Saturday. “The facilities at the education centre will be opened to develop young players and promote the growth of soccer in the country.” Kumbruwah said. He said the future of soccer in PNG depended on such institutions like the National Soccer Academy as many current soccer stars were developed there. “Many players who have passed out from this academy are now playing in the semi-professional league. 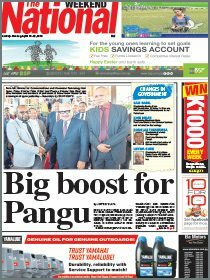 We have developed talents from Morobe, Madang and other parts of the country,” Kumruwah said. Kumbruwah also acknowledged the continuous support from the International Food Corporation Ltd under its Besta brand in terms of soccer development. PNGFA general secretary Dimirit Mileng said Besta had been supporting the development of soccer in the country for nearly eight years.